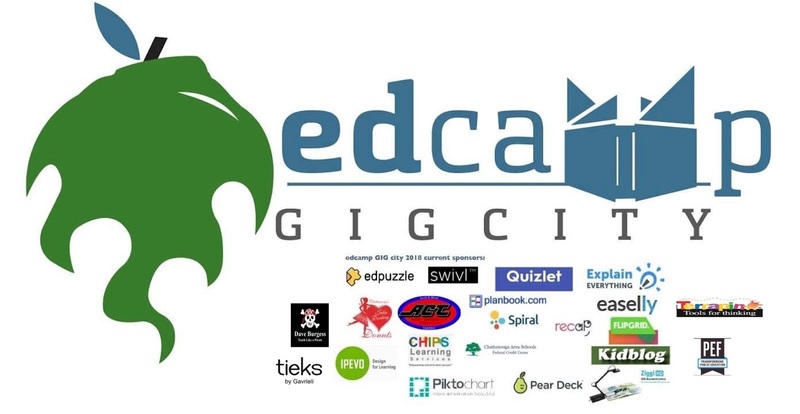 Year five of Edcamp GigCity is in the books. It was in a fabulous location- Red Bank Middle School in Chattanooga, TN- and it had fabulous attendees. According to the feedback form most left as very happy campers! (pun intended). Oops on the schedule. We accidentally used the schedule from 2 years ago instead of last year so the sign up said 9-2 but the day was laid out as 9-3. We also had adjusted times down to 45 minutes last year but the old schedule had the sessions at an hour. Our bad! We apologize for that oversight and promise it won't happen again. 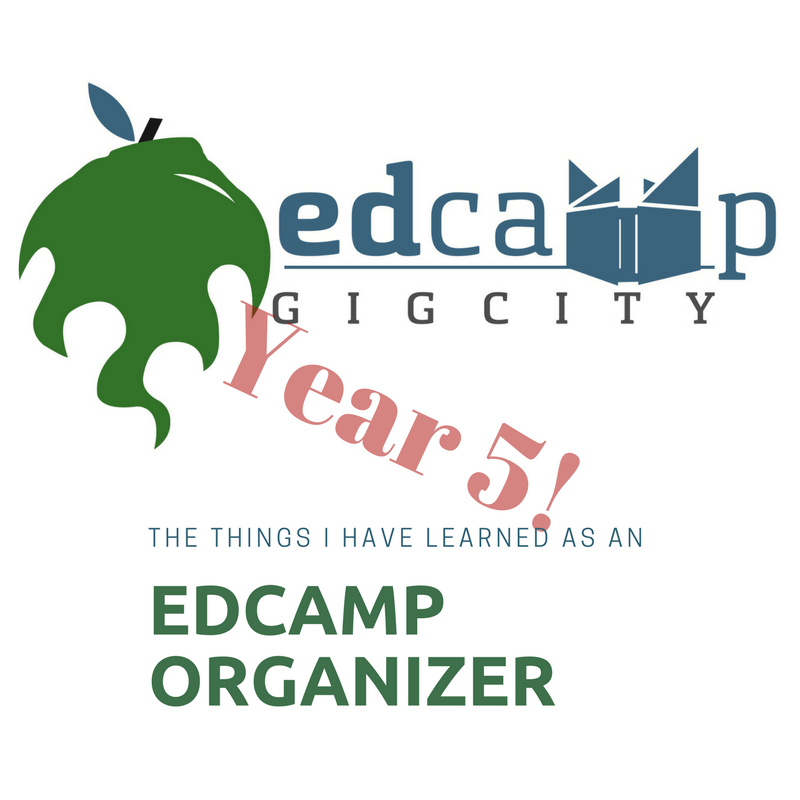 We need to make sure we explain how edcamps work a little better for new attendees. Often people are a bit overwhelmed by the "no presenters" and "rule of 2 feet" if it is their first edcamp. 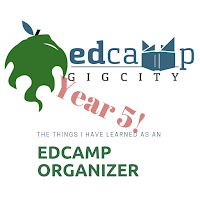 We need to make sure we provide more insight on how edcamps got started and why it is so organic in nature. 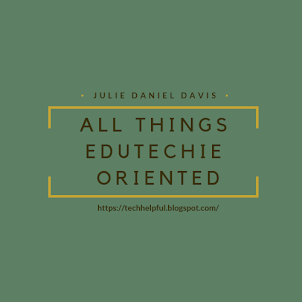 Choice- Educators are at least college graduates and sometimes/often even have advanced degrees...they love Edcamps because they get to choose what they learn about instead of being forced into a PD that may or may not interest, help, or pertain to them. Voice- Educators get to ask questions and share their concerns and fears in a safe non-threatening environment. The beauty of our edcamp is that it isn't "district led" so the voices they are in a room with aren't necessarily the ones they usually hear from so it adds a freedom to learn from others. The value of being heard is important to everyone, the nature of edcamps is active participation no matter what your level of understanding. Free- The event is free, the food is free, and the door prizes are both awesome and free. How does that make an educator feel? VALUED. For some educators, they rarely have the opportunity to learn outside of their school building because of cost or time. 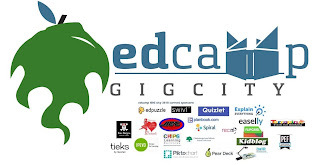 Edcamps show teachers that they are appreciated and important by creating platforms for them to learn without other things hanging over them- like lesson plans for subs and money. 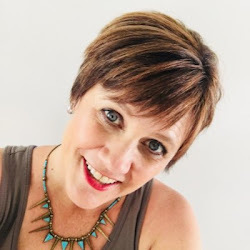 Embracing Myself as an Educator- like it or not.